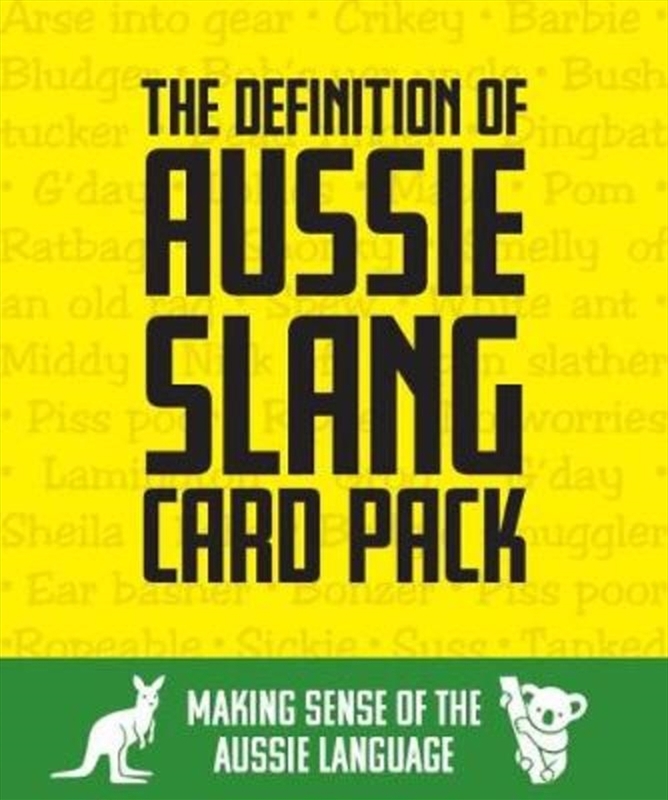 Card Pack - with 95 cards and a stand holder for the cards in a box set Aussie Slang. Australian slang, known as ‘Strine’, is a way of using certain words and phrases that have become iconic to Australians. This is the perfect gift pack for any visitor or guest trying to fit in with our Aussie society. Each card has a word that Australians tend to use in day to day settings and it gives you the definition of the word so you can find yourself being able to fit in with the Australian language down under.